According to the official synopsis, THE CHILD REMAINS is about “an expectant couple’s intimate weekend [that] turns to terror when they discover their secluded country inn is a haunted maternity home where unwanted infants and mothers were murdered.” It’s based on the notorious true story of the “Butterbox Babies,” and Melski tells us, “Back from the ’40s through the early ’70s, private adoption in Canada wasn’t regulated. In Nova Scotia, there was a place called the Ideal Maternity Home that was infamous for terrifying reasons. This home promised—for a hefty fee—to board scandalized young mothers and to manage the adoption of the infants. The young woman would return to her home unburdened, and many babies were adopted. 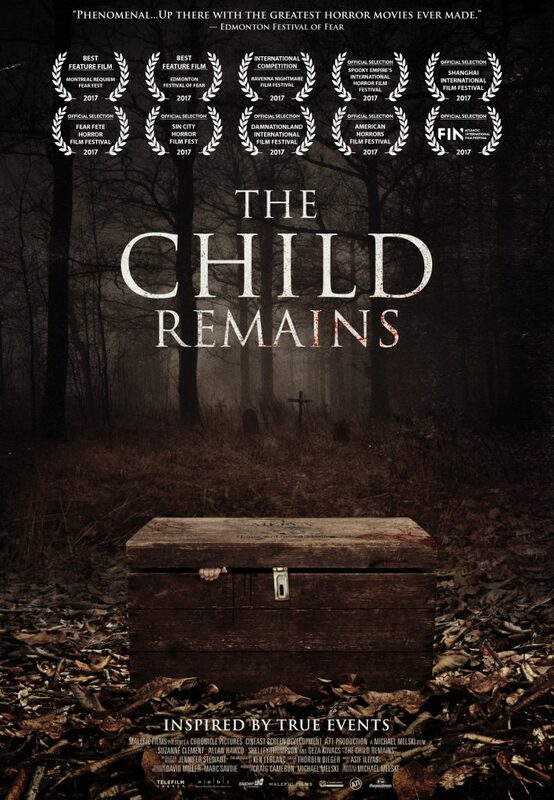 THE CHILD REMAINS is aiming for Canadian theatrical release next spring and U.S. theatrical release in October 2018. Find out more about the movie at its official website.